@Minor223 accepted pm @zaza or @Duff (zabour) ingame for ur invite gz. onu davet et. f.Tell us about yourself : I'm Rayen, I'm 16 years old guy, I'm Tunisien and living Sousse, I've one brother And one sister, father is a police and mother is Paramedic, I like practicing fitness exercises, I like watching action movies, despite I'm athletic but, I adore fast food, I do not think that it really affects badly on me while practicing fitness exercises. I like video games. b.Tell us about your saes carrier : I'm started playing SAES with my friends In 2015.My carrier started In RDMC after VLA after MMC. all of them closed then i'm joined BloodZ i left Cause they inactive. Now i'm interresed to join CripZ with my friends. g.What Does Avoid Arrest mean and give an example: Avoiding Arrest is cop running behind you and u killing yourself by a grenades..
a.A Character Backstory ( must be suit for our role ) : At night,i was in the bar,i got a call by CripZ member but i'm not hear to phone. CripZ sent to me his boy.I rushed to house,CripZ member give to me transportation of drugs i was happy.So i'm rish and my life is changed. 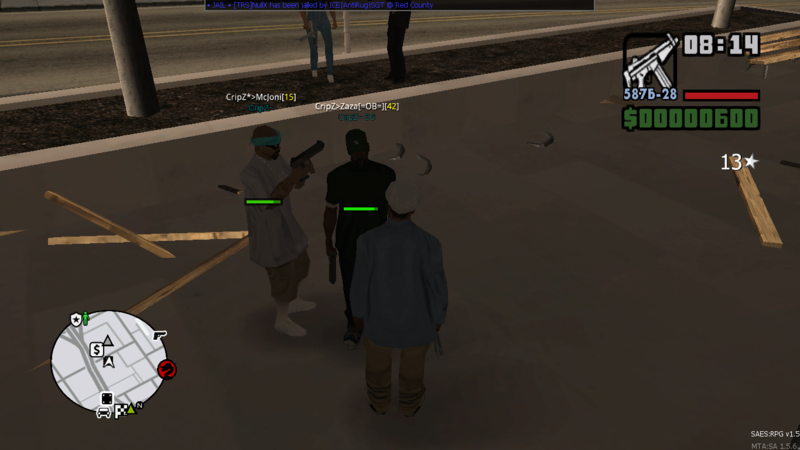 b.Explain CripZ's roleplay with your own words: CripZ is a gang.Selling drugs,transporting arms trafficking and drugs trafficking.CripZ is engaged in illegal business. f.What is your weaknesses: I'm playing for low FPS. Thanks For ready my application ! f.Tell us about yourself: Hello there, I’m Amine I live in Tunisia , Sousse am 16 years old i study in high school i got 1 brothers i began playing video games since I’m a kid i started with play station one and two then my father bought me a computer i was addicted to play FIFA and PES nobody can beat me in these games day after day my friend gave me few games that he already downloaded them and recommended me to play them and one of them was grand theft auto San Andreas, so i started playing the game it took me long time to complete all the missions it was such difficult even through cheating , and one day my friend recommended me to download Multi Theft Auto. g.Do you have teamspeak or discord : I have both of them. b.Tell us about your saes carrier : First of all, I started my first gang with Comando DA Capital. Then I turned to OverdoseCrime for a bit while. At the end I go to Black Bullets. And now I'm thinking to be an CripZ member. I was part of Commando da Capital. ( I’ll example in game). I was part of OverdoseCrime. ( I’ll example in game). I was part of Black Bullets. ( I’ll example in game). d.Have you ever been banned from SAES(if yes please explain): Yes, i were banned for "Evading of amounts". e.What Does DM mean and give an example: Deathmatching means killing other peoples without any reason. f.What Does Roleplay mean and give an example: Acting like real life nothing more. g.What Does Avoid Arrest mean and give an example: Avoid arrest means, by getting in water or by disconnecting the game. 1- Don’t do marker killing. 2- Don’t jump off the roof after the BR. 3- Don’t start a solo-br. 1- Don’t help your team as medic/cop. 2- Don’t spawn at your house. 3- Don’t camp on unclimable roofs. 3- Don’t get criminal to help you. a.A Character Backstory ( must be suit for our role ) : In a dark night, I was walking in the street and my goal is to reach the place of the drug dealer. We managed to meet exactly behind Tacos Restaurant because I was so addicted to the drugs I can't stay one day without it. Unfortunately, there was a surprise, I didn't notice that the cops knew that I will come there, they were making a plan to arrest us they were following the drug dealer and watching his acts sadly he didn't notice that.When I reach the Restaurant I saw a cop car parked in front of the Taco Restaurant I got scared, but I exceeded my fair and I took a look behind the Restaurant and I said 'Who is your Partner' but he didn't Speak. So i take out the gun from my car fast and shoot the 2 cops in their legs to prevents them to move so we was trying to run away sadly we was Trapped by the cops in all the paths and in this time there's something happened that i didn't expect. The drug dealer took the gun and killed him self i can't forget this scene that was realy miserable.at the end i've got jailed. 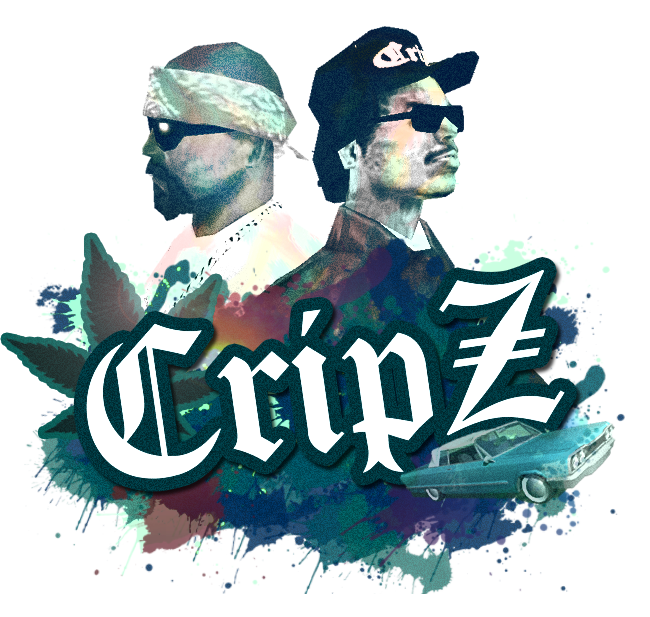 b.Explain CripZ's roleplay with your own words: Cripz role is based on selling illegal stuffs such as drugs ,also they provide their offer to other gangs and this is the MOST useable ressource to collect the money. c.Why do you want to join CripZ: Because CripZ has the best criminal and I want to challenge myself helping other criminal and killing cops I will do my best to be the best gang in the server and it's really a good gang with good people and i have friends there. d.Why should we accept you: well,,i will be seriously member and i see myself active and skilled player and i will obey my hq orders and i'm mature enough and not a child, so you do not have problems with me and I know what I should do when I face the enemies and I don't want any backup or help calls if necessary and finally I respect the opinions of others even if they disagree with my opinion. e.What is your strenghts: Shooting , Driving , Parachuting. f.What is your weaknesses: Drop FPS. g.Post your screens when you hanging with CripZ(use spoiler): Click here! f.Tell us about yourself :Hello,my name is Aziz know as BlueZ>Rocket in game i 17 years old i'm studen i live in Tunisia.So BlueZ>Rocket is an active player,plays alot of games but the only one i love spending hours and hours infront of my computer playing it is the MTA especially on SAES server. g.Do you have teamspeak or discord :Yes,i have. **b.Tell us about your saes carrier :I joined SAES:RPG community since 2017 (2 years+), well lemme start with squads i left my first squad ICE because they went inactive and began to join the players are not ready , FBI I left it because it was inactive then i decided to be as crimside i joined BBMC but sadly gang has been closed , CDC like ICE reason , OC better tell the reason ingame. Hmm, well lemme start with squads i left my first squad ICE because they went inactive and began to join the players are not ready , FBI I left it because it was inactive then i decided to be as crimside i joined BBMC but sadly gang has been closed , CDC like ICE reason , OC better tell the reason ingame. **e.What Does DM mean and give an example:DM when u kill other players without reason it's not allowed. g.What Does Avoid Arrest mean and give an example:**Avoid arrest when a cop chasing u and u kill ur self it's not allowed. One gang is allowed to do maximum of 2 gang bank robs per day. Gang can not start gang bank robbery with only 1 member of that gang inside the bank. During gang bank rob, members of gang which is robbing the bank can kill any player inside bank they are robbing if they don't want that player on their bank robs. If you are killed in a turf where a turfwar is going on, and you are spawned as a cop or criminal, it is not counted as deathmatching. This is just part of the war. You can only use gang spawn or the hospital spawn when a turfwar is going on. a.A Character Backstory ( must be suit for our role ) : Another day was coming and the day started. cripz The phone was ringing... and we got a call from a rich man that he wants some drugs from us. We decided to smuggle some drugs for him if he pays. So we arranged the place and we met there. As long as we kept waiting for him we smoked a cigarette and he finally came. We slowly and safely talked about the money. First of all he said he wants to see the drugs. We modestly explained to him, if he wants to see his drugs then better to give the money. He finally grabbed his own money and threw it towards me. We took the money from the ground. So, we went inside the house and let him see the drugs. Everything was there as he expected and wanted. In the end of this he came to my colleague and asked for his phone number. Because he liked and appreciated us and our drugs and he said he will call us again. c.Why do you want to join CripZ: In my opinion CripZ is a one of the biggest gang and is feared among the streets. They have been selling drugs since they were created in 2017 year. It’s literally one of the best and most respected gangs , joining CripZ will be honor for me honestly, This gang is the most powerful one SAES. CripZ is full of elite members and leaders who are the really the right person who I need to learn more from them also CripZ is an experienced gang which I wanna be a part of it to improve everything's in my saes life and I wanna make a friendship with them and be a part of this family which really gonna change me and help to do much things. d.Why should we accept you: I would not say im a very special because in my opinion everyone can be special in their own way, but i have the skills needed and the experience in gangs which make things more easy also i have the loyalty and maturity. Also i know i have not been so mature in the past , but i can ensure that i have achieved this target, as that was my aim as i have been told. I have been, trying to redeem my self from that lack of maturity i had in the passed and i do hope that i have showed that i can be mature and behave in the right manner and respect people . I can bring dedication and a drive to succeed to this gang . I've always been appreciative of what the organizations I have worked for have done for me, as well as what I can do for them. I'm a loyal and a special person who wants to do my absolute best for the gang I work for. One of the biggest attributes that I'd bring to this position is flexibility. At my previous gangs was able to help my team during focus gang testing,Ultimately, I'm willing to work with anyone at the gang to make sure gang's activities are a success. e.What is your strenghts: Driving-Shooting . f.What is your weaknesses: I'have lag sometime. a.Ingame Name & Real Name: BlueZ>Jiirak | Aymen Jomaa. a.How long have you been playing on SAES: around 1 year ago. g.What Does Avoid Arrest mean and give an example: avoid arrest is when there are a cop trying to chase you then you try to kill yourself to spawn in HP and avoid the arrest..
you're not allowed to jump from the top to spawn in HP when br is done. you're not allowed to enter the safe room when br is going. you're not allowed to do anims when br is going. if you got killed and then spawned in another job thats not count as DM. list item-you're not allowed to spawn as cop or medic to assist your gang. you're not allowed to use nades. you're not allowed to spawn as cop or medic to assist your gang. marker kill is not allowed. moonshine business: in this role CripZ able to create alcohol industry then will be distributed to friendly and neutral gangs through independent shippers like truckers under threat and gang resources. 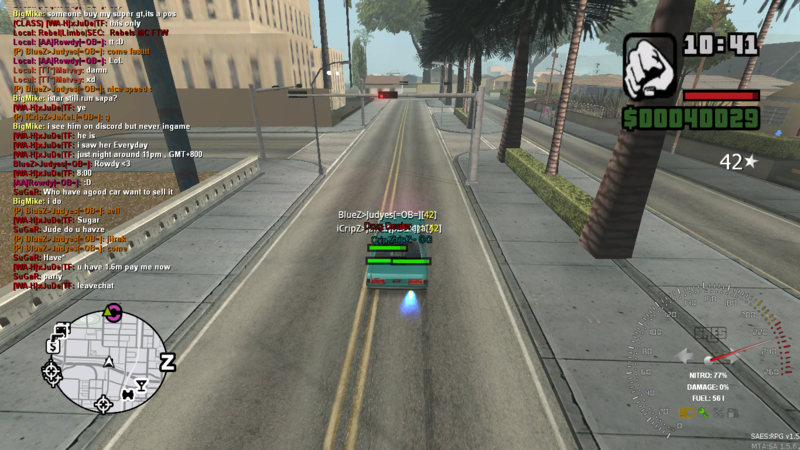 the CripZ alcohol is produced in san andreas with a decentralized system. CripZ has 2 ways to transpot their product. The transport of the illegal products to the production area is done through bribing of local departments to avoid highway patrols or through fake load papers provided by the mafias which get a profit with other CripZ's activities. 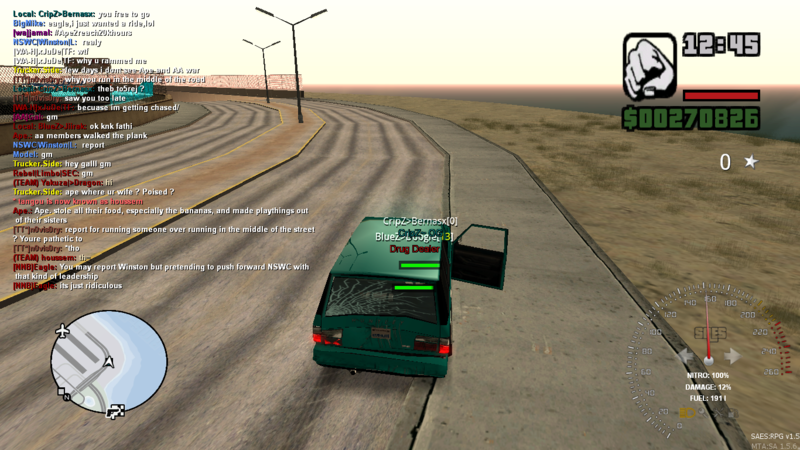 Drug Trafficking: CripZ is already doing some drug dealing and transportations, but they wanted to do more than that over time. they were looking for way to expand the gang income. @JaKeL like elpadrino says i suggest you to make a new application in order to get an answer.